HOW WOULD IT FEEL to be up close and personal with Mt. 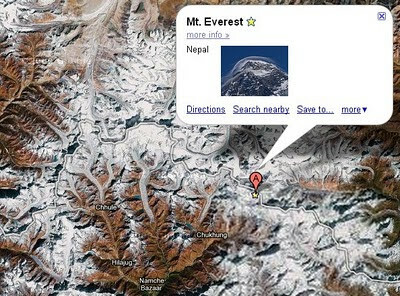 Everest? Or to humbly come to face with the Chomolangma ("Saint Mother") as they say in Tibet? Well, we shall find out in next thousand days or less. Because that's the pledge: To camp underneath the summit of Mt. Everest within next 30 odd months or so. A thousand days may seem rather stretched, but for a goal such as this, it may all get tight pretty quickly. And needless to say that a much more detailed planning and preparations are required - a whole mountain to surmount in itself before the actual one - mainly towards the physical fitness and mental toughness - as well as evaluating other professional, social and economical commitments and feasibilities. Over the past week or so while the decision over the destination for the challenge has been under debate, some of these aspects have been taken into due consideration. And, that helps. A couple of pointers and a bit of background: While Mt. Everest has always been at the top of the list of dearness, Lewis Pugh's recent TED talk gave the final push. And though Mt. Everest is a more complicated and rather tougher ballgame all together, it was nice to read the encouraging post by Matt Cutts of Google from Kilimanjaro. Also, Chris Guillebeau had an interesting post a couple of years ago at his unconventional strategies blog asking to name one definitive place that one would want to visit in the lifetime (thanks Amelia for the link).